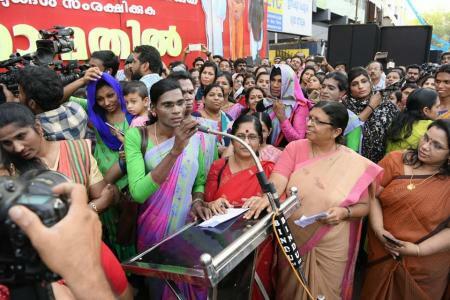 The wall saw participation from women of different age, religions, and included trans women, athletes, homemakers and differently abled women. 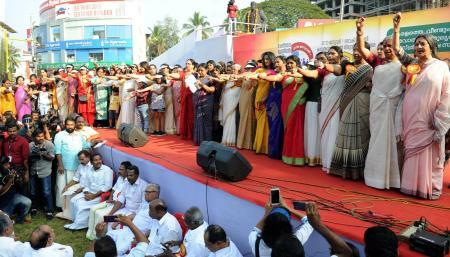 Women in Kerala have rung in the new year with a grand gesture that upheld gender equality, scripting history twice in the last 24 hours. 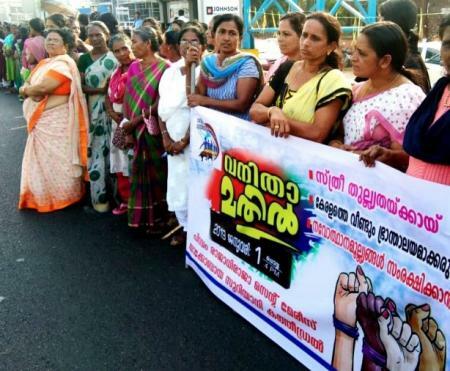 Earlier on Tuesday, 35 Lakh women from across the state of Kerala formed a 620-kilometre-long human chain, demanding equal rights for women in all the spheres, in a government-backed initiative. 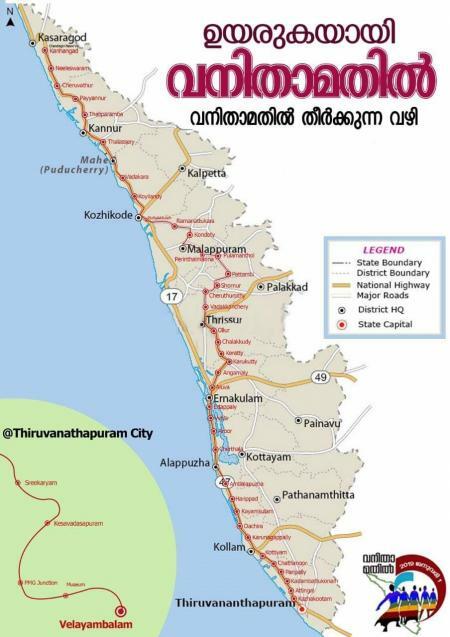 The human ‘wall’ started at the end of Kasaragod in the North, and ended near the Southern tip of Thiruvananthapuram. 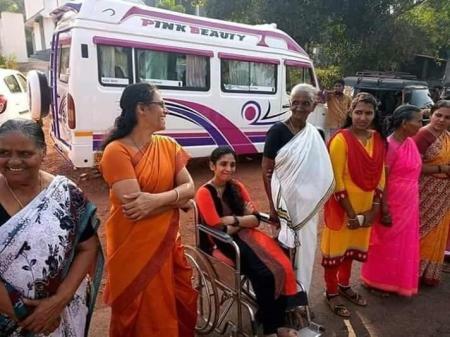 At the one end of the wall stood social justice minister K K Shylaja, near the Kasargod new bus stand. 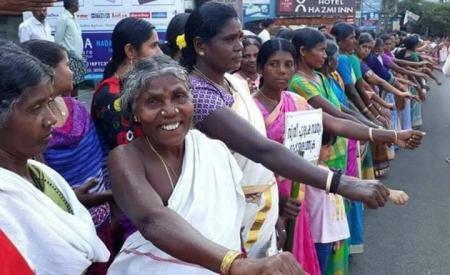 The human chain went through 10 districts – all except for Pathanamthitta, Idukki, Kottayam and Wayanad – before stopping at Vellayambalam in the state capital with CPM Polit Bureau member Brinda Karat being the last person in the line. 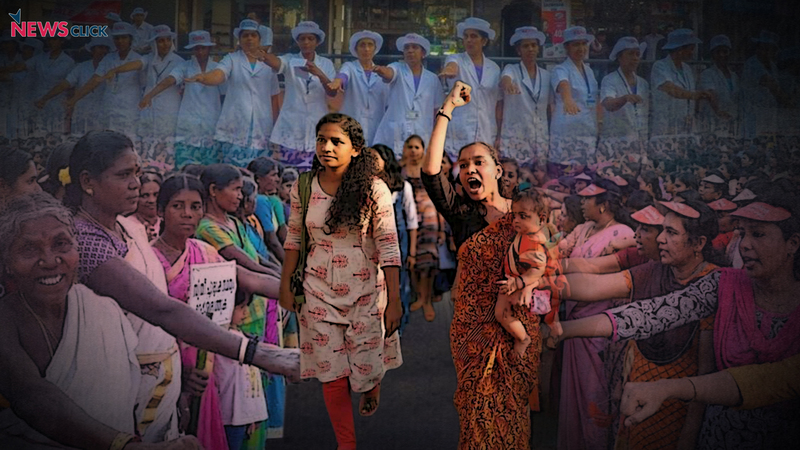 Showing extreme apathy to the women’s demands and their assertion, the BJP state leadership dubbed the wall a “total failure”, and waste of government funds and machinery. Some reports suggested that some of the participants were attacked at Chettukund in Kasaragod district, allegedly by some BJP-RSS workers. They reportedly hurled stones at the women and policemen, injuring three personnel, police said, adding that they had to resort to firing in the air and bursting teargas shells to disperse the attackers. Employees of two television channels were also reportedly attacked, and were forced to delete the visuals of the incident. 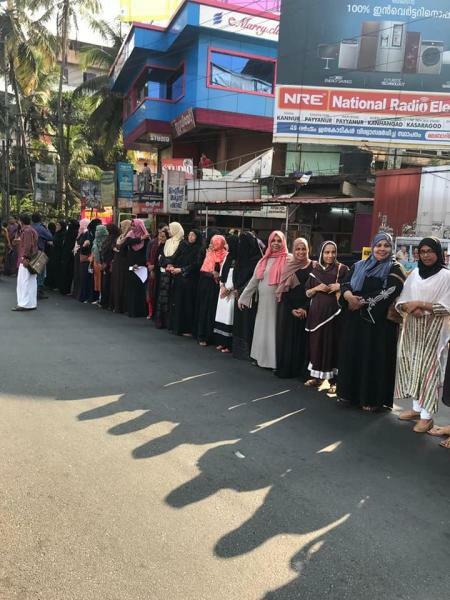 Thousands of devotees also lit ‘Ayyappa Jyothis’ and lined up from Hosangadi in Kasaragod to Kanyakumari, vowing to protect the “customs and traditions” of Sabarimala. 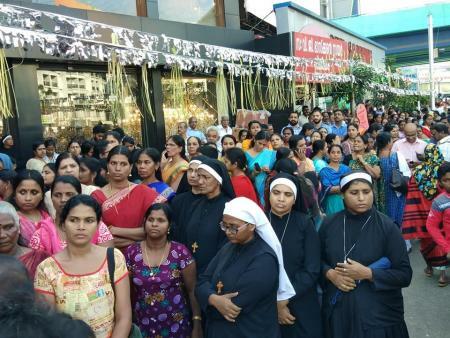 The hill shrine of Lord Ayyappa at Sabarimala witnessed massive protests following the Supreme Court verdict allowing all women to pray at the Ayyappa shrine. Following the formation of the symbolic wall, two women, Bindu and Kanaka Durga, both in their early 40s, entered the hilltop shrine around 3.45 am. A video which has surfaced on social media showed them hurrying into the shrine along with a police team even as a group protested in the backdrop. Kerala Chief Minister Pinarayi Vijayan confirmed the visit. 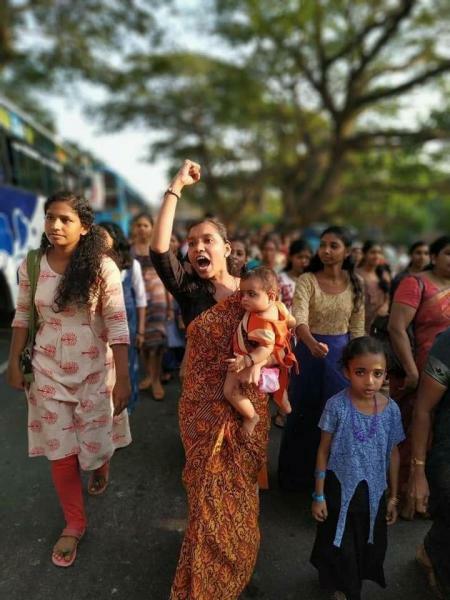 Kerala has been on the boil ever since the Supreme Court overturned a discriminative ban preventing women of menstrual age from visiting the Ayyappa temple on September 28 last year. Over a dozen women attempted to do so, but were stopped by hoards of protesters. However, the Left government has reiterated its commitment to stand by the Supreme Court verdict.